The recent increases in social spending have improved the situation of many vulnerable families in Ecuador. However, many people, especially those living in rural areas, still live in poverty. In April 2016, when a devastating earthquake hit the country, SOS Children's Villages started an emergency programme to support families and children who had been affected. The Republic of Ecuador is located in South America and shares borders with Peru and Colombia. Ecuador has a total population of roughly 15.9 million with around 1.7 million living in Quito, the country's capital. Guayaquil is the largest city with 2.7 million. The country is characterized by a rich cultural and historical background. In the past, the country suffered from social and economic instability, but the last decade has brought more stability. At present, the economy is dependent on oil, agriculture and money that is sent to Ecuador from workers abroad. In April 2016, a 7.8 magnitude earthquake hit the central coastal area of the country. Over 600 people died and around 16,000 people were injured. Over recent years, poverty reduction programmes have noticeably taken effect: while in 2006, 38 per cent of the population lived in poverty, this figure had dropped to 23 per cent in 2014. There is, however, a high level of inequality between the rich and the poor. Poverty rates are higher in rural areas, where around 39 per cent of the population are poor. Many people who can't make a living in rural areas, they move to cities or abroad in search of a better life. The health situation has also improved in recent years: for example, the infant and mother mortality rates have dropped. But more needs to be done: some diseases and deaths in rural areas would be preventable if health services were more readily available. The lack of safe drinking water and of proper sanitation also has an impact on the health of families. In rural areas around 24 per cent of people don't have access to improved drinking water and 19 per cent don´t have proper sanitation facilities. Around 22 per cent of children suffer from malnutrition - the number is significantly higher in rural areas and among indigenous communities. 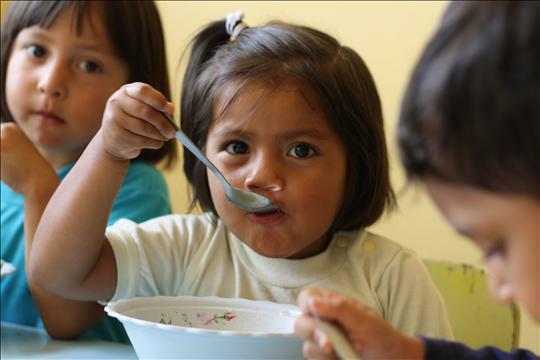 Around 5.6 million children live in Ecuador. Although the government has introduced measures to protect the rights of children, only one in five children grows up in households free from neglect or abuse. Around eight per cent of children are forced to work, mostly on farms in rural areas and in family-owned business in cities. The government has recently invested in education and introduced measures to encourage parents to send their children to school. Most children finish primary school, but about 20 per cent of girls do not go to secondary school. Teenage pregnancies are high: one in five girls between the ages of 15 and 19 become mothers. The majority drop out of school, and then struggle to raise their child. Young people find it hard to become independent. One in five young people under the age of 24 don't have a job. Those who do work are often paid low wages or can only find part-time employment. Strengthen Families: We work with local organisations and the community to support vulnerable families so that children can grow up within their own family. We ensure that families have access to food, medical care and also provide day-care for young children. Care in SOS families: If, in spite of all assistance, children cannot be taken care of by their own family, they can find a loving home in one of the six SOS Children's Villages in the country. Some of the SOS families live in houses which are integrated in the community. Immediate aid: We are working with the government and other agencies in order to deliver emergency aid to affected families. We are providing food, access to sanitation facilities and clean water, emergency shelter and non-food items. 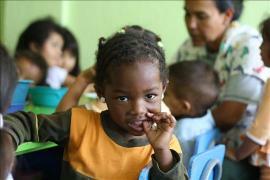 Protecting children: Early estimates calculated that over 150,000 children were affected by the earthquake. We provided immediate care to children who have been separated from their families and sought to reunite them with their families. We also created "Child-Friendly Spaces" which aimed to restore a sense of normality and continuity: children here can play, learn, and receive food and health care.